Kanchipuram as the name suggest its a place in Tamil Nadu, India. This is the traditional Prasadham offered in the Varadharaja Perumal Temple. 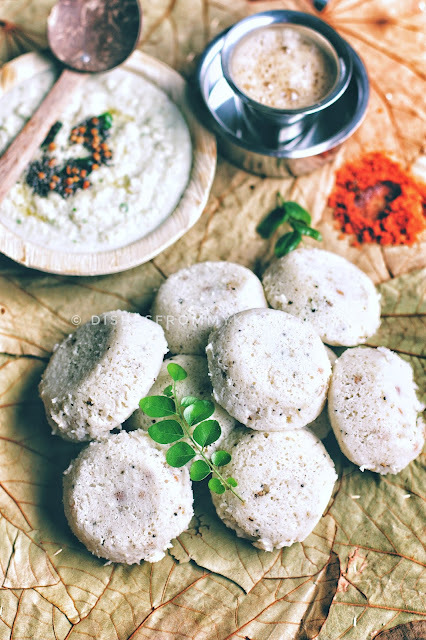 This Idli tastes great with spices and with the love aroma of ghee, it gives a lovely texture and taste to the Idli. 1. Soak rice and dhal separately for few hours. 2. Grind them separately, rice has to be like rava and urad should be fine texture. Note : You can grind them together into coarse rava consistency too. 3. Add salt mix everything and ferment it overnight. 4. 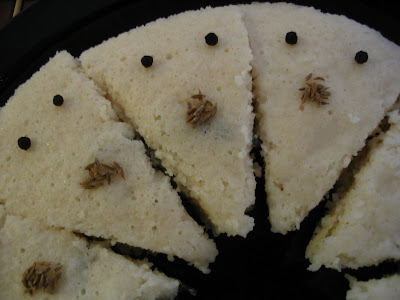 In the Morning or when you are ready to make Idli add the curd to the batter. Temper with all the tempering ingredients in the given order. Pour the hot ghee oil mixture to the batter. Give it a mix. 5. Now in the big plate grease with some ghee or you can use small greased cups too. Pour the batter less than 3/4 th. 6. Steam it for 12 to 15 minutes check by inserting knife in the middle. When cooled cut to desired shapes. 7. 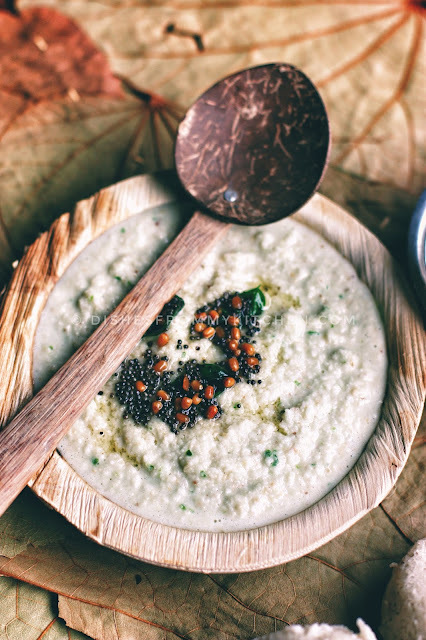 Serve hot hot with podi, sambar or chutney . 1. This batter can also be used for making crispy crispy dosas...add ghee while making dosas. 2.Adding fried cashews is optional. 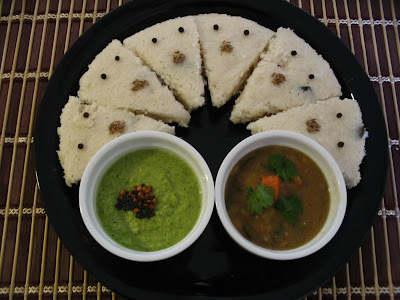 I've always wanted to try kanchipuram idlis - nice presentation. Thx alot Pavithra for taking time to comment in my blog. Im having a craving for iddlis now. 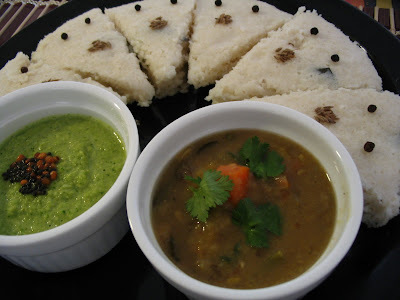 Can u tell me what idli rice is?...Never made idli before....I love that green chutney that u kept along with that idli...have to see if u have posted the recipe here...lemme chk, If not i request you to:)Cos thats too tempting. 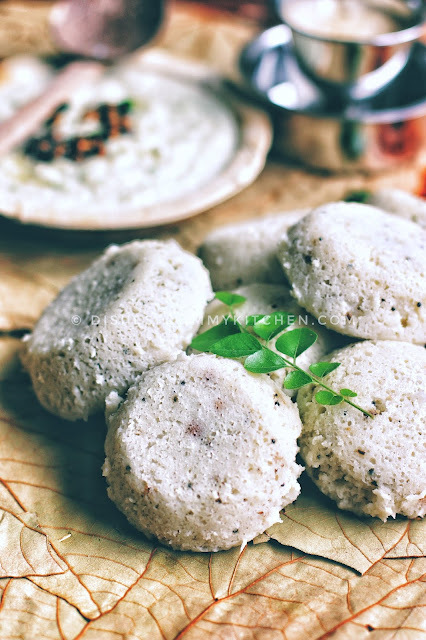 beautifully soft Idlis! And a very cute presentation indeed.. 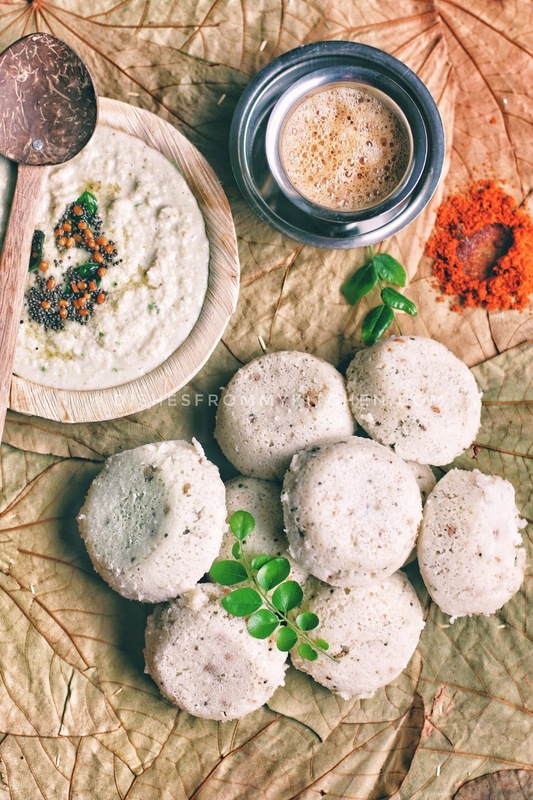 Though I hail from TN, I have never tried Kanchipuram Idli yet...I am going to try this for next week's breakfast. Nice recipe and great presentation. 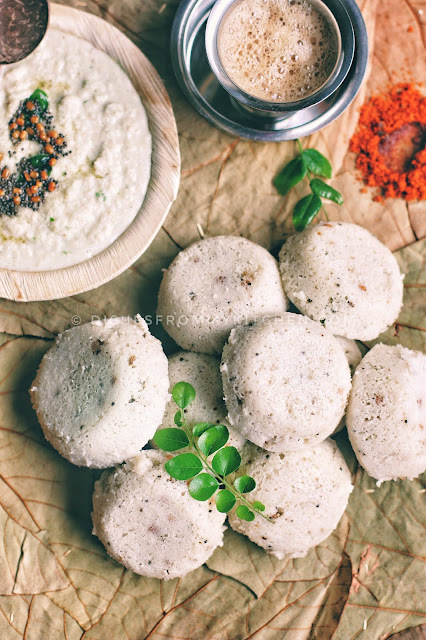 Wow Kanchipuram Idli ..Sounds great yaar and ofcourse the pictures are so mouth watering ...Very nice presentation ..will try this version for sure ..thanks dear for the recipe..i have added u in m blog roll..so will be visiting here often . You have given life to the idlis.. great idea... my hubby is a great fan of kancheepuram idlis.. Such a delicious dish, had kanchi idli long back, makes me hungry! Never had this before, sounds really delicious!! Looks so spongy n delicious! My mom prepares something similar to this. Had forgotten about it until I saw yours! Lovely presentation too! What a cute presentation style-love it!! Oh my god, I cant help but just gazing at your pictures...your culinary and photography skills amazes me. Love Kancheepuram idly so much, miss it. I even liked your tomato dosa, those are so perfect...crispy!!! 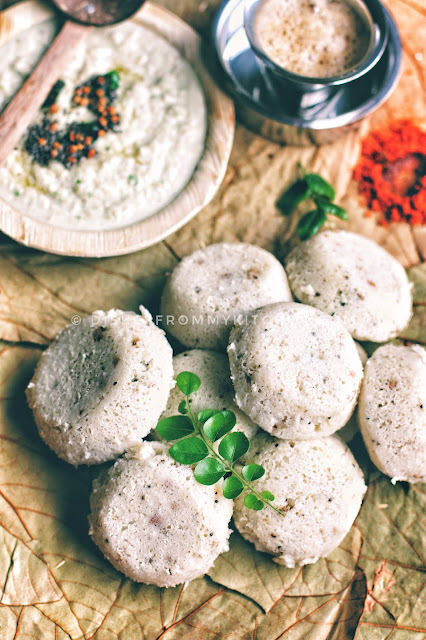 We also make it in our home, but i didn't know that Kancheepuram Idli can look so good until i saw your photo. They look like little cuties and the chutneys complement perfectly. Just lovely. Mom makes another variety of this also..
Picture perfect!! !you have got me longing for some. They look great. A nice breakfast treat. Wow idlis looks yummy , cute and lovely. yummy pavithra..Never got a chance to taste it..
Nice to see this favourite here. 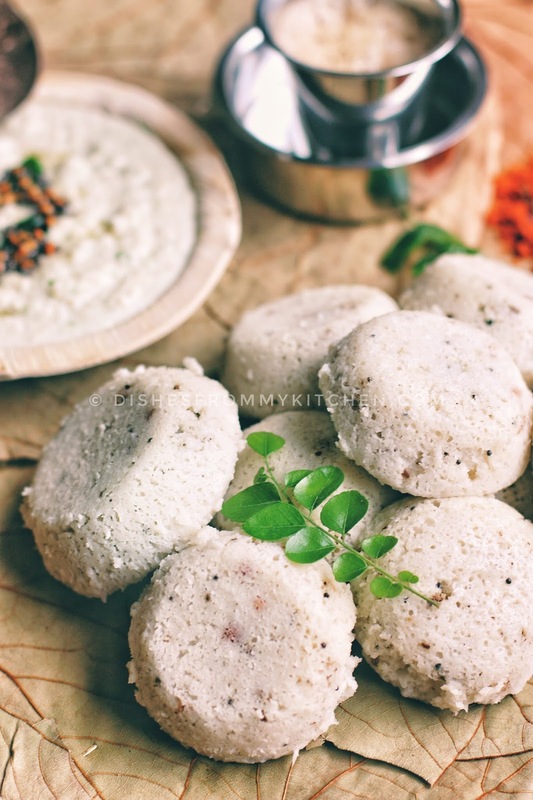 My version is a bit different but these idlis are very good.